Luxuriously decorated streets and squares, an ice skating rink, and various musical and theatrical performances at numerous magnificent locations are just a small part of the enchanting Advent in Opatija programe. The sound of Christmas carols can be heard all around, and the delightful scents of mulled wine and hot chocolate guarantee a truly memorable experience for all visitors. A festive atmosphere, mild winter climate and the closeness of the sea together make the perfect recipe for the Advent of your dreams. 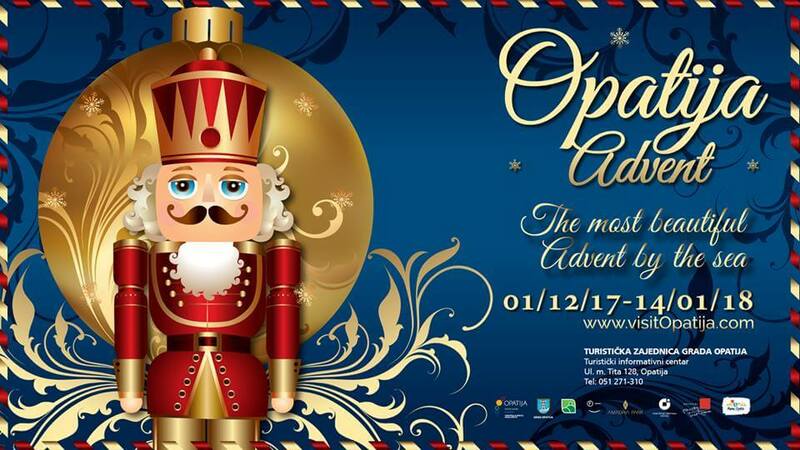 For more about the event please visit https://www.visitopatija.com/en/opatija-advent. Für alle Informationen stehen wir zur Verfügung! ACHTUNG: Um uns leichter zu finden, benutzen Sie bitte Ihre GPS-Koordinaten (45.347736, 14.319634) anstelle der Adresse. SONDERANGEBOT 5=4 im APRIL und MAI! Also, was macht Volosko so besonders und warum sollten Sie denken, dorthin zu gehen? Es gibt keinen Ort wie Volosko!